How do you love your grandma? Let us count the ways. No amount of searching on Google will give you life or relationship advice quite like what your lola has to say. Her words come from experience and are founded on the deepest love and concern for you. There's just something about Lola's voice that has a calming, storyteller appeal. Somehow, no matter how big your problems seem, just hearing her voice makes you feel that everything will be okay. You and your parents might lock horns sometimes, but somehow Lola seems to know what you're going through. It feels great that someone has your back—and she's someone your mom and dad look up to. Move over, fancy five-star resto. Your lola’s paella takes the cake every single time. It’s the pièce de résistance of every family get-together, the dish that makes your mouth water just thinking about it. That time when your lolo asked her out on a movie date and she brought all her girlfriends along; entertaining stories from when she was young; and embarrassing growing-up stories about your dad, titos, and titas. How undeniably entertaining! Never underestimate the ability of Lola to catch up with the rest of the netizen world. Do a search now on Facebook and you just might get shocked to discover she has an account! Can't get enough of grandmas? Here's another one you'll love: Lola B, the tech-savvy, storytelling lola. 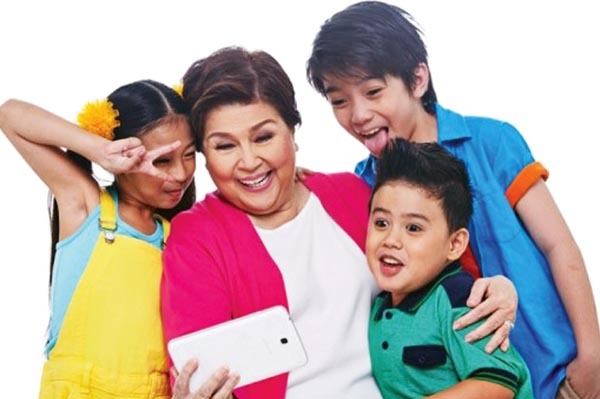 She's the upgraded version of Lola Basyang who tells timeless tales on the TV series LolaBasyang.com. Catch it every Saturday 7 p.m. on TV5.